Despite losing their majority in the general election on 8th June, the Conservative Party remains the largest party in the Commons. Consequently, Theresa May is seeking to form a minority government with the support of the Democratic Unionist Party (DUP) and is currently in talks with them to finalise a ‘confidence and supply’ agreement. Such an agreement, if it is reached, will require the DUP’s 10 MPs to support the Conservatives on key votes, giving the Government a total of 328 seats and a slim working majority of 2. At this time, it is unclear what the DUP will ask for in return for their support, although any agreement is expected to be published. The prospect of a minority Conservative government propped up by the DUP has already raised serious constitutional and political concerns. Because Theresa May lost her majority, but has nevertheless insisted that she will carry on with the Brexit negotiations as planned, doubts over the legitimacy of any future EU deal have increased rather than diminished. Crucially, concerns have also been raised for the future of the peace process in Northern Ireland as, under the terms of the Good Friday Agreement or Belfast Agreement, the British government is required to remain impartial in Northern Irish politics. The Conservatives’ chances of forming a minority government, however, is not solely dependent upon 10 MPs from Northern Ireland, but also upon 13 Scottish Conservative MPs. This subtle shift in Conservative support from England to Scotland has potentially dramatic consequences for the West Lothian Question which have yet to be explored, suggesting that further reform on the issue is still required. The West Lothian Question refers to the problem of MPs from Scotland, Wales and Northern Ireland being able to vote on English-only issues by virtue of the fact that the Westminster Parliament doubles as the English legislature, but English MPs could not vote on devolved matters. This proved to be most controversial during previous Labour governments who had the majority of seats in Scotland and thus occasionally had to rely upon them to pass laws affecting England alone, most notably the introduction of variable tuition fees in England in 2004. In an attempt to resolve the West Lothian Question, David Cameron’s Conservative government introduced English Votes for English Laws (EVEL) in the wake of the 2015 General Election after having initially promised to introduce it the day after the 2014 Scottish Independence Referendum. EVEL introduces several new stages in the legislative process of the House of Commons – most significantly the Legislative Grand Committee Stage – whereby Bills deemed to be English-only matters by the Speaker must be approved by a majority of all MPs representing English constituencies (or in some circumstances English and Welsh or English, Welsh and Northern Irish). Controversially, once approved by a majority of MPs from English constituencies, the Bill still needs to be approved by a majority of all MPs at Third Reading, including MPs from the other nations of the UK, in order to pass into law. When EVEL was first introduced, the political make-up of the House of Commons was very different from today. Following the 2015 General Election, the Conservatives won 331 seats, of which 319 were from England, 11 were from Wales, and 1 was from Scotland. Of the 59 Scottish seats, 56 went to the Scottish National Party (SNP). As a result, Cameron’s government was not dependent upon Scottish MPs for its majority, and could rely exclusively upon its English and Welsh seats to pass legislation. On English-only matters, the Conservative’s had the majority of English seats, 103 seats more than the Labour Party, its closest rival. On English and Welsh matters, the Conservatives had a majority at both the Legislative Grand Committee Stage and Third Reading. Following last week’s election, however, the Conservatives now have 318 MPs, of which 297 are in England, 8 are in Wales and 13 are in Scotland. Unlike the last Parliament, therefore, the Conservatives are very much dependent upon Scottish seats for their overall majority in addition to the DUP and, crucially, cannot rely upon them for English-only or English and Welsh-only matters during the Legislative Grand Committee Stage. The implications of this are as follows. Firstly, although the Conservatives still have the majority of English seats, the Government would still require the support of the DUP and Scottish Conservative MPs to ensure its passage at Third Reading assuming they do not have the support of any other opposition party. As a result, the passage of any Bill affecting England alone is now more dependent upon MPs whose constituents will not be affected by the decision than ever before. This strengthens the influence of such MPs over the UK Government, and it is not entirely unthinkable to imagine a situation whereby the withholding of support is threatened, if not acted upon, irrespective of the wishes of the English MPs, in order to compel Government compliance with any demands either previously promised in exchange for support or which have emerged subsequently. Secondly, the Conservatives’ majority in England following the election has also been substantially cut from 103 over Labour to 70. On English and Welsh-only matters, the situation is even worse for the Government, with their majority reduced to 50. This reduction ultimately increases the power of Conservative backbenches, and thus the likelihood of backbench rebellions on English-only or English and Welsh-only bills, especially so given tensions within the party following the election result. Hypothetically, should there be a Conservative split over an English-only Bill which only narrowly passes the Legislative Grand Committee Stage, the Government’s reliance upon the support of its Scottish MPs and the DUP substantially increases at Third Reading, as does the other parties’ reliance on their Scottish and Welsh MPs. If so, such MPs may vote in favour of a Bill which does not affect their constituents, and which may also be opposed by much of England. When EVEL was first introduced, the Cameron’s government no doubt failed to envisage a future where the Conservatives’ seats in England would be reduced at the same time as their seats in Scotland would increase, especially so after the SNP’s historic landslide in 2015. This oversight, however, now raises serious concerns over the extent to which the West Lothian Question has been adequately answered by EVEL, and whether alternative reforms which guarantee that only English representatives decide English-only matters, such as a devolved English Parliament, is now required. Given the tremendous political uncertainty following the election, however, reform in this area appears highly unlikely for the time being. 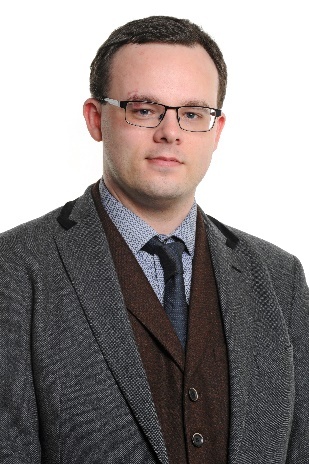 Dr Robert Brett Taylor is a Lecturer in Law at the University of Aberdeen. The numbers in the premise for this are misleading. This mistake is widespread. There are 650 MPs but in practice the maximum who will vote in a division of the whole House is 639 = 650-(7SF+4Speaker/Chairs). Of the 639, the Conservatives have 316 = 318-2; and the rest have 323 = 332-9. So Cons + DUP (10) gives 326 v Others at 313 – a majority of 13. If the DUP abstain, the figures give 316:313, a Cons majority of 3. The 318 for the Conservatives include John Bercow but, by convention, the Chairman of Ways and Means and the two deputy Chairs do not vote either- except as tie breakers when in the chair. The rules require the Speaker/Chair etc. to be split 2:2 between Con & Lab. The 7 SF will not be able to vote because they would have to swear allegiance to the Crown to do so. So Labour need DUP to defeat he Government. The Government to win confidence etc, just requires them not to vote. On EVEL, as we pointed out in the McKay Commission report, the principal inhibiting factor will always be, whether a party wanting to win more seats in England will be willing, once the rules are in place – as they are – to risk the political hit in England of encouraging non-English MPs to vote against something for England that an English majority has voted for. There’s also the question of which non-English MPs will feel able in those circumstance, and on what issues, to justify denying the reciprocity on devolved matters that the whole concept of devolution with the, for Scotland, now statutory Sewel convention would seem to require. Similarly for England and Wales. Can The DUP vote on English Laws at Westminster? In what way can the DUP support the Conservative Government at Westminster? commonrepresentation.org.uk is the UK’S leading unionist campaign. It supports the repeal of legislative devolution, the British Constitution and parliamentary democracy. There is no such thing as English laws. There are only British laws that have particular effect across England or parts of England. With a majority of 70 in England, the Tories should be able to make laws for England only without having to worry about what Welsh, Scottish and Northern Irish MPs think about it. I don’t really understand how anyone can argue otherwise now that Wales, Scotland and Northern Ireland are not in the same position following devolution. Why should the English alone in the UK not be able to decide how their public services are run? This entry was posted on June 13, 2017 by Constitutional Law Group in Northern Ireland, UK Parliament and tagged English Votes for English Laws, EVEL, general election, minority government, West Lothian Question.